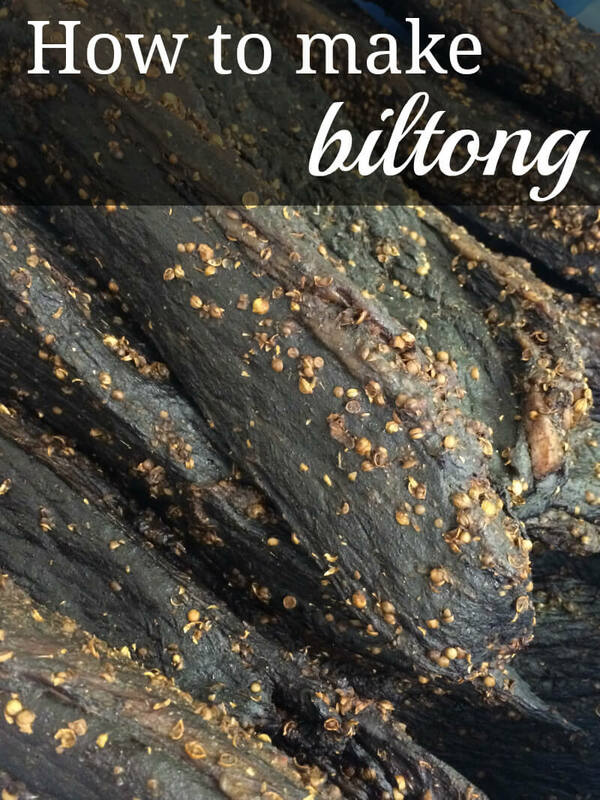 Making your own Biltong can actually be a pretty rewarding experience. The preparation is therapeutic and the final product worthwhile, despite Biltong’s long drying time. Not to mention bragging rights! How cool would it be to let everyone know that YOU made that batch they’re grazing on? So, in the pursuit of making your own biltong, we thought we’ll give you some pointers. Simple as that! The recipe is based on 2kg of meat. Alternatively, you can also buy our fantabulous Biltong Spice, by clicking here. Start by preparing your meat. We recommend using Silverside beef, but if you’d like to experiment with different cuts you’re more than welcome to. Lay the meat down and cut it into strips. Again, it’s your biltong and you can play around with sizes, but we recommend starting with strips around 1.5cm thick, 15cm long and 5cm wide. Once cut, prepare your tray. The best way in our opinion is to start with a thin layer of vinegar and spice mix at the bottom of a tray. Lay down a layer of meat and splash with vinegar and seasoning and repeat. Once you’ve seasoned all the meat, put it in the fridge to marinade for at least 4 hours. After the meat has soaked up all the gorgeous flavours, it’s ready to dry. Put a butcher’s hook (available to buy here) through each strip and hang out to dry in a cool, well-ventilated area for 3 – 15 days. You can even use a clothes drying rack for this. The time period would mostly depend on your preference in the consistency of your Biltong. If you are using a drying rack as suggested above, be sure to use some sort of covering, as the meat could attract unwanted attention from pesky flies. Just remember to use something with holes for ventilation. It’s important to ensure your equipment is well sterilised. The tray, knives, butcher’s hooks and whichever method of drying you use, should be cleaned well after every use. Remember to allow for a 50% meat reduction during the drying process, meaning 2kg of raw meat will only be 1kg of biltong. Don’t let the Biltong touch while drying, as this may cause humidity, which could lead to spoilage. The drying process depends on your taste. Keep an eye on it after 3 days, feeling the biltong. Soft biltong will feel more or less the way the soft part of your hand does when you put your middle finger to your thumb. Put your ring finger to your thumb for medium and thumb to pinky for hard. See an example here. It may be for steak, but the same applies. Of course, there are easier methods for drying your biltong, like buying a biltong box like this one here or even building your own. There are many ways to this and you basically just need something that seals on all sides, has ventilation holes and a light bulb and/or fan. Check out some ideas here. Instead of butcher’s hooks, you can also use string. Simply make a hole at the top of your strip and loop butcher’s twine through. Well other than enjoying your gorgeous biltong and showing off to all your friends, you can start experimenting. Try different flavours, cuts of beef and play around with the size of your Biltong pieces. Be sure to send us pictures via our Social Media channels, using #BiltongPeople. Sound good? Of course, if it doesn’t, then you can ALWAYS shop from our range of Grass-Fed Beef Biltong by clicking here.